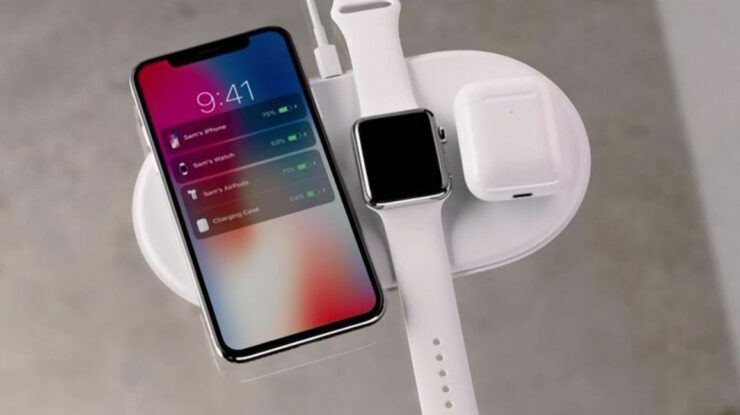 Apple has cancelled their upcoming Airpower Wireless Charging Mat, claiming that it "will not achieve our high standards". Many people were looking forward to the launch of the product since the announcement about it back in 2017. Now, nearly two years after the original announcement, it has been scrapped. During the original announcement for the mat, Apple claimed the device would be shipping sometime in 2018. Then they went silent for nearly 18 months before we had any hint of when it would be launched. Apple even gave the thumbs up to start production on the product, before cancelling the project soon after. During original testing of the product, Apple was having a few issues with devices overheating, as well as the AirPower Mat not achieving the charging speeds Apple had hoped for. The mat was going to be able to charge multiple devices at once, whether that be multiple iPhones, a combo of iPhones and an Apple Watch, or even an iPhone, Apple Watch, and AirPods. It would then show the battery status of the charging devices on the iPhone. Earlier in March, Apple launched their completely wireless charging Airpods case, which featured a diagram of the AirPower Mat on the box. These AirPod cases are no longer being sold on Apple's website, and those who purchased them can ship them back for a full refund. Apple devices do support wireless charging on third party devices, and even though there is no device out that does exactly what the AirPower Mat promised, there are a few that do charge multiple devices at once. Whether Apple has another wireless charging solution in the works is unknown, but for now, you'll have to wait a little longer for an Apple brand wireless charger. They should have charging plugs that you plug in in a room and anything in that room charges wirelessly.